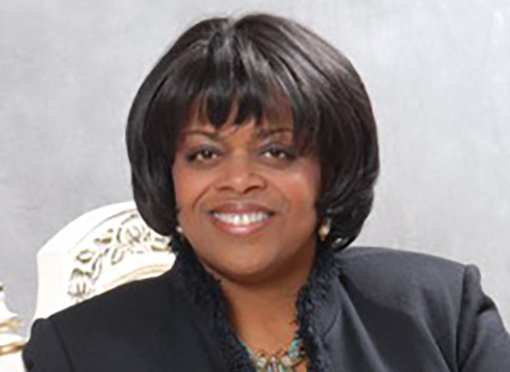 Suzan Johnson Cook | HOPE Global Forums | Presented by Operation HOPE, Inc.
A Faith Leader, Entrepreneur, Educator, Success strategist, international influencer, Communications expert, and Diplomat, Hon. Suzan Johnson Cook was the first female and African-American to hold the position of U.S. Ambassador for International Religious Freedom. Nominated by Secretary Hillary Clinton, and appointed by President Barack Obama, she was the principal advisor to the President of the United States and Secretary of State, for religious freedom, globally, having all l99 countries in her portfolio, and integrating religious freedom into the foreign policy and national security discussions. She represented the United States in 28 countries and more than l00 diplomatic engagements, bringing faith leaders and women to the Religious Freedom table. Additionally, she has been the faith advisor to two U.S. Presidents, three cabinet secretaries, as well as political and celebrity leaders. She served as President Bill Clinton’s only faith advisor on the historic “President’s Initiative on Race”. On the front lines of 9/ll, she helped New York and our nation through traumatic times, and become known as “America’s Chaplain”. In 2016, she was the only woman to run for NY’s 13th Congressional district. She has expertise and experience in higher education, domestic and foreign policy, called upon often to be a media commentator, guest lecturer, Visiting Fellow and panel moderator. She served Harvard’s Divinity School as an Associate Dean, and Faculty member for three years, as a President’s Administrative Fellow. Her alma mater, Union theological Seminary, awarded her with the UNITAS and Trailblazing awards, as well as the Activist Scholar Fellowship for two years. She also was a Fellow at Catholic University of America, where she concentrated on women and Peace Building. Ambassador Johnson Cook held the rank of Inspector, as Chaplain to the New York City Police Department for twenty-one years, the first woman to serve in that role. She was on the front lines of 9/11 as well as the front lines of bridging relations between the NYPD and New York’s diverse communities. She was also the first and only female President of the historic Hampton U Ministers Conference, in its l02 year history, the largest gathering of African American clergy in the world. She served as pastor for three NYC congregations, including the famous standing room only “Lunch hour of Power”, mid week services and seminars for the business community. Ambassador Johnson Cook’s passions are education, desiring to shape a generation of 21st century scholars, and to enhance the role that women play as leaders, both domestically and internationally. Her Pro-Voice /Pro Voz Movement is in direct response to seeing first-hand the lack of access, and the lack of women at corporate, political and diplomatic tables worldwide. Sheryl Sandberg says “Lean in”. Ambassador Sujay says, “we’ve got to “get in”. Domestically, her movement helps Black, Latina and Asian women become both a political and economic force, through connections, celebrations and conversations, and mentoring them into key leadership positions.